When it comes to trading stocks, there are many things that all traders and investors should know about in order to succeed. There are various ways that traders and investors can profit from the changes that constantly happen in the stock market. Some of the important principles that people should know about include going long or short on stocks. While going long on a stock is what most investors usually consider as a preferred practice, short selling may also be considered as a means to profit from investments and trades. But short selling is not something that all investors really understand. Many investors, especially those just starting out in the stock market game, may have heard about short selling. But a lot of them do not really understand what it is. Basically, selling short is just the opposite of going long. While an investor goes long on a stock when he or she anticipates the stock price to go even higher. In the case of short selling, investors anticipate the market and the stock prices to generally go down. When investors go for short selling, they usually trade stocks that they own. More or less, the trade stocks that they “borrow”. These stocks are usually available from a broker or a brokerage firm. When an investor plans to short sell a stock, he or she usually borrows the stock to short. The broker or brokerage firm agrees to lend the stock, on the condition that the borrower gives it back at a certain time. The stock is sold and the proceeds are credited to the borrower’s account. Once given the go signal to trade a certain stock, the investor or trader then waits for the market prices to go down. Once a certain price range is met, the borrower then buys back the same number of stock borrowed, this time at a lower price. The borrower then gives back the stocks borrowed to the broker or brokerage firm and pockets the proceeds obtained from selling on the previous higher stock price. Investors and traders may have different reasons for short selling. It is not always trying to profit from speculating that the market will be on its way down. Some people use short positions as a hedge against their long positions. This helps reduce the risk and potential losses in case long positions don’t work out. 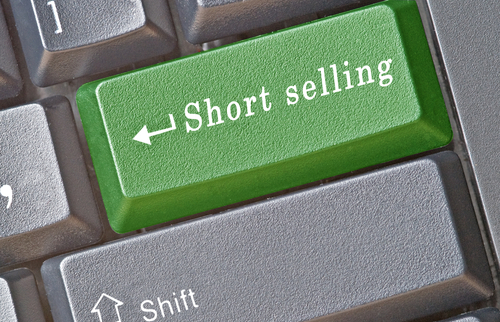 Short selling can be a big risk, especially if one makes the wrong speculation of the market. But the potential for big gains is also there. It all depends on how the investor or trader is able to understand and determine the movement of the market accurately.